My sister got a 46″ Samsung 120Hz TV LN46A630M1F-S that started to turn on/off when plugged in, shows distorted pictures when on, off then on with bright screen with screeching sound reminding me of the TV in the original movie “Poltergeist”. If these are your Samsung symptoms then there is an easy fix for it. Don’t throw the TV away yet. This is not problem of the blown capacitors like my other Samsung. On/Off with green screen and loud screeching sound. 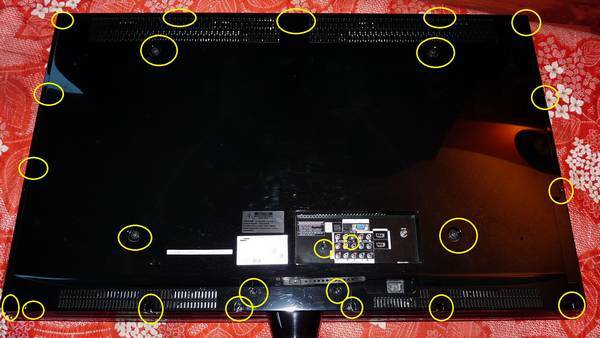 Remove all the back cover screws – Don’t miss any or the back won’t come off. 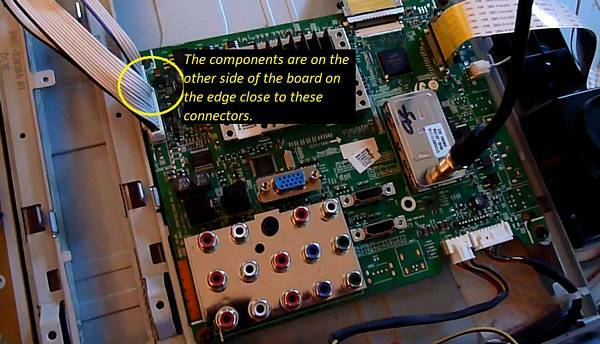 – Check the power board for bulging capacitors. The chance are they’re all good (the top surfaces are flat). 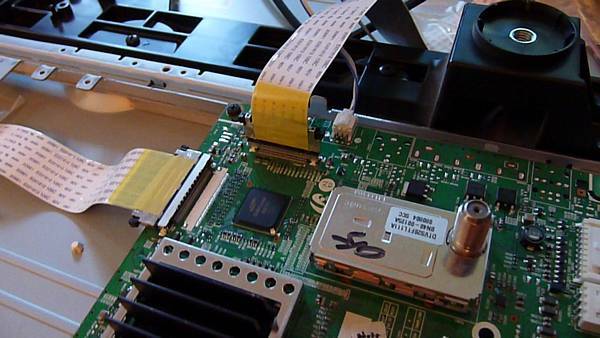 – Remove the controller board – BN97-0247B – send it to Ebay service provider or order parts to replace them yourself. 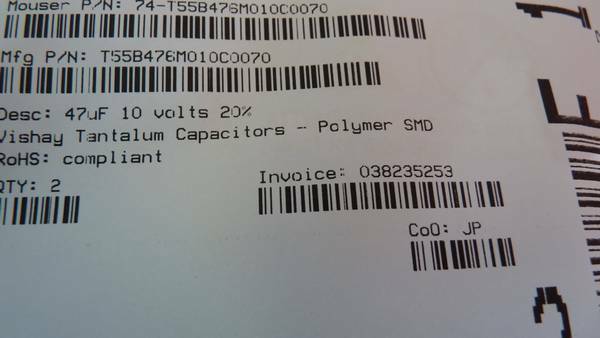 Parts are: MP2363DN and 47uF 10V (NE 8 AS7) polymer tantalum capacitor. 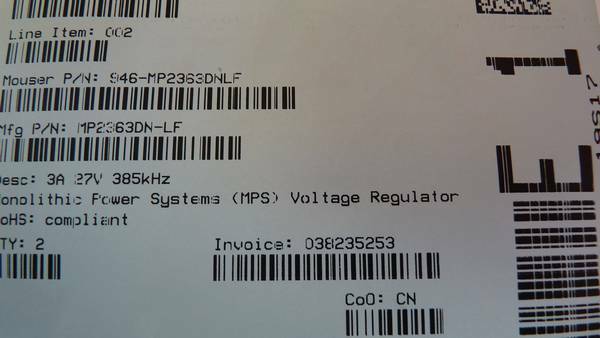 – There are Ebay sellers that sell correct parts or provide the service for this replacement if you don’t have a soldering iron or skills to do it. – This will fix this problem. 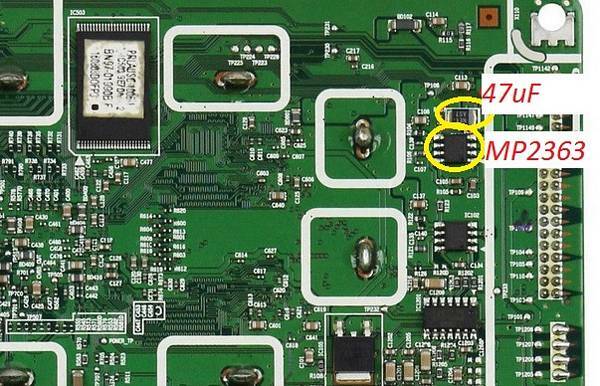 MP2363DN 8-pins and NE 8 AS7 47uF Polymer Tantalum capacitor – Notice the polarity of the cap. 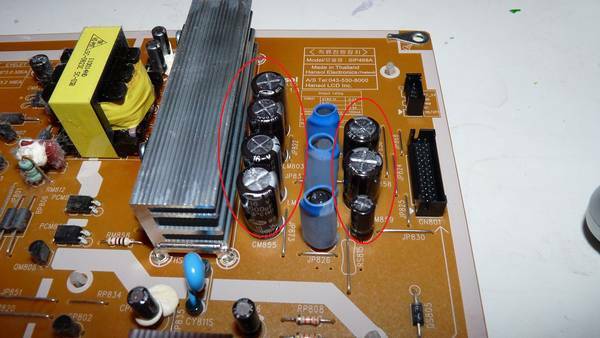 Check power board for bad bulging capacitors. 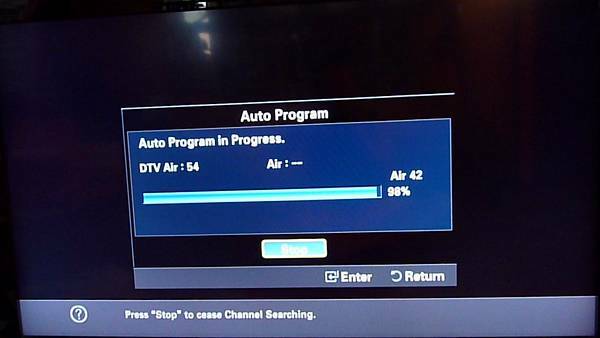 Thanks for your posting on “Fix Samsung TV Turn On/Off With Screeching Sound Distorted Display”. 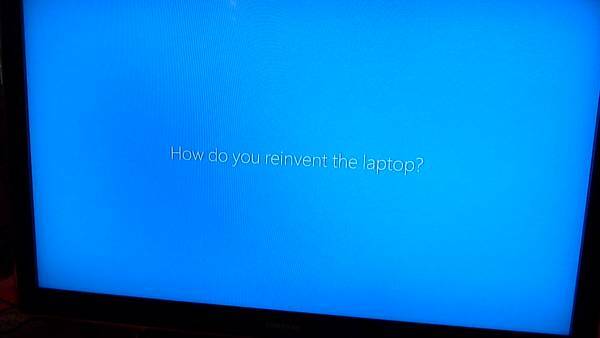 My TV has been doing this for over a year and progressively getting worse. 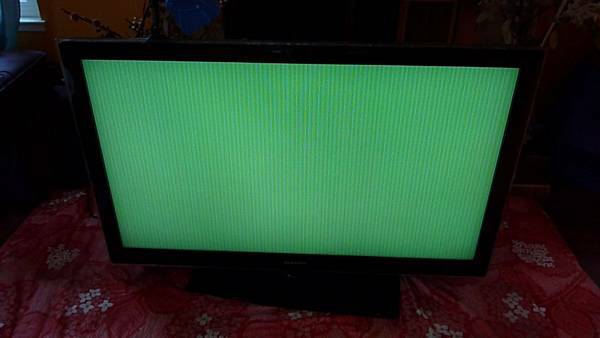 I ordered and got the parts a couple of weeks ago, but my TV finally decided to defeat me, and not power up even after an hour of reboot/screech sessions. Today I replaced the parts (once I made a heat gun de-soldering nozzle). The TV powers up fine now. The down side is I now have a column of ‘stuck blue’ pixels. Its off to the side and isn’t overly annoying. My TV now has a few more years of life in it.. Thanks! As a followup… my column of stuck pixels only lasted a day or so, and they are gone now.